After four long years, the World Cup is finally back! The tournament begins this week and CeleBreak will have all of the information, updates and analysis of your country from the Group Stage through the Final! It starts here, with a preview of all 32 competing nations. The hosts will be making their 11th appearance at a World Cup and open up play in Group A on June 14 against Saudi Arabia. After missing the last two World Cups, Saudi Arabia is back in the tournament and begins with a difficult matchup against Russia. In the World Cup for the first time since 1990, Egypt hopes Liverpool star Mohamed Salah is fit enough to lead them out of the group stage for the first time in history. The clear favorite to top Group A, Uruguay has a rich history of success at the World Cup. Ranked fourth in the world and having won the Euro 2016, the Portuguese have confidence going into the summer, and can prove their standing right away in their opening contest against their neighbor, 10th ranked Spain. With a new coach and many new players that weren’t part of the teams that won three major tournaments between 2008 and 2012, Spain hopes to regain their old form after failing to get out of the group in Brazil. Morocco qualified for the tournament for their fifth time in history and first time in 20 years. They find themselves in a difficult group with their European neighbors to the north, Spain and Portugal. In their second straight World Cup and in a group with European giants Spain and Portugal, Iran will probably have to take down at least one of them to have a shot to reach the knockout stage for the first time in history. Despite a disappointing result in the Euro 2016 final in their home country, the French are among the favorites to win in Russia. Australia has qualified for three of the past four World Cups and will try to reach the round of 16 for the second time in history. Peru is back in the World Cup after a 36-year absence. They are currently ranked 11th in the world. 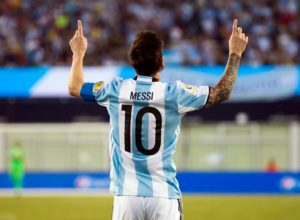 Magic from Lionel Messi got Argentina through qualifying, and while that’s nothing out of the ordinary for the five-time Ballon D’or winner, he will need a lot of support from his teammates if they want to return to the final. After reaching the quarter-final of the Euro 2016, Iceland became the smallest country to ever qualify for a World Cup. They have the potential to surprise on the biggest stage. In the World Cup for the fifth time, Croatia’s prospects in 2018 will rest on a strong midfield led by Real Madrid’s Luka Modric. Nigeria has made five of the past six World Cups and was dominant during qualifying. They were the first African team to book a ticket to Russia. Brazil’s five World Cup titles are the most in history and they are the only nation to have never missed a tournament. Currently ranked second in the world, Brazil has its sights set on the trophy and redemption for a stunning 7-1 loss to Germany on home soil in 2014. 2018 will be Switzerland’s 11th World Cup and strong form during qualifying for the sixth ranked team in the world has them in a position to be successful. Costa Rica surprised in Brazil by reaching the quarter-final. Ranked 23rd in the world, they will try to match that past success. After missing out on Brazil in 2014, Serbia will appear in its 12th World Cup. They will likely have to compete with Switzerland and Costa Rica to secure the second spot in Group E after Brazil. The Champions remain the number one ranked team in the world and the favorite to win in 2018. Winning the World Cup in Russia would tie Germany with Brazil for most titles in history. Mexico returns to the World Cup for the 16th time in 2018. The squad is one of the oldest of all 32 nations and they hope the experience will help them qualify for the last 16. Without Zlatan Ibrahimovic for the first time in over a decade, Sweden will try to step out from the shadow of the global superstar. They have a tough draw in Group F which will likely turn into a battle for second place behind Germany. Russia 2018 will be Korea Republic’s 10th World Cup. They are the most successful Asian nation but will face a difficult test to get out of the group. 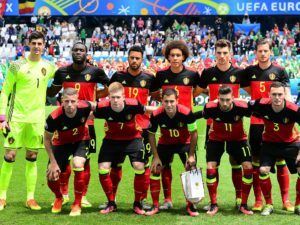 Belgium enters the tournament ranked third in the world and has more than enough talent to win the trophy. The expectations are sky-high and this squad should finish at the top of Group G.
Panama will play in a World Cup this summer for the first time in the country’s history. It will likely take a few unexpected results for the small nation to advance. Tunisia is back at the World Cup for the first time in 12 years. They failed to escape the group stage in their previous four appearances and doing so will also be a challenge this time around. The Three Lions rank 12th in the world and will arrive in Russia looking to end a disappointing streak of poor form in major tournaments. England has a young squad with the talent to at least reach the knockout stage. Robert Lewandowski scored 16 goals in 10 matches during qualifying and eighth ranked Poland will need their all-time leading scorer to maintain his outstanding form to progress far in the tournament. Russia 2018 will be the second ever World Cup appearance for Senegal. They will face a significant challenge in the group stage, making a repeat of their historical run to the 2002 quarter-final all the more difficult. James Rodriguez’ Golden Boot performance in Brazil propelled Colombia to the quarter-finals. They will need their star number 10 at his best to advance from a competitive group. Japan is heading to its sixth straight World Cup and while the country has become a regular in the tournament, the team has never advanced past the round of 16. 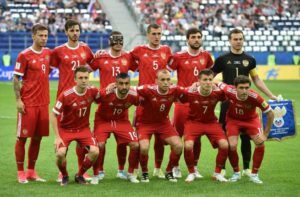 To even reach the knockout stage in Russia, they will have to deal with strong competition in Group H.
In the past four World Cups, Germany has finished second, third, third, and finally first in 2014. They bring to Russia an even deeper squad than the Champions in Brazil. 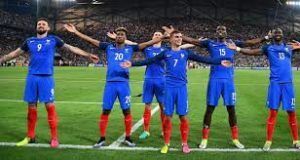 Their sustained excellence at major tournaments combined with a draw that delays any match with other top contenders Brazil or France to the final means that in 2018, Germany is best positioned to raise the trophy once again, and I predict that they will.